Spek Automation is a Melbourne based commercial and domestic electrical / electronic contracting firm. We specialize in the design and installation of home and board room automation systems, security and data cabling. 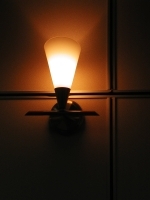 And, of course, we provide our clients with high quality general electrical contracting work. We pride ourselves on doing the job once - and doing it right. Our rigorous project management practices enable us to be across the all of the fine detail that less experienced contractors sometimes miss. And it means that we thoroughly test and document everything before we hand it over to you. We invite you to call us to arrange a free preliminary design consultation. Architectural Electronic Systems has been established on the foundation of many years experience in the Home Automation, Home Cinema, Multi Room Audio, C-Bus Lighting and Blinds Control, CCTV and Smart Wiring this has enabled AES to meet the needs in a rapidly growing market. By providing advice, personal service and quality products in every installation, from planning through to completion we offer Total Integration Solutions. Our experienced professional team with Electronic Engineering background is provided with constant training to keep up to date with current technology, while strict quality control insures our clients receive the very best possible outcome for their budget. While we provide our clients with quality custom installations Architectural Electronic Systems also will fully document and design the system. Through consultation, planning and co-ordinating with all involved we offer Total Project Solution. Bisinella Developments has over 45 years experience in constructing large custom built industrial warehouses and factories. We also have extensive experience in leasing and management of these facilities. We are a home and building automation system integrator from Croatia, covering the region of ex Yugoslavia countries. متخصص في أنظمة التحكم الذكي بالمباني , سواءاً كانت قصور, فلل, بيوت, مكاتب, أبراج, فنادق... الخ. مدرب دولى معتمد للشركات والأفراد. I Focus Solutions India Pvt. Ltd.
READY TO INSTALL, assembled and preconfigured Home automation panel available for easy installation. Just connect the load terminals to the connectors, it works. Custom designed ANDROID APP available. We are Smart Office, Home Integrator and Distributor for Comfort Intelligent Home system. We are also the supplier of Motorized Curtain System, Fingerprint Access and Electronic Door Lock; providing home/building owner with a seamless integration experience. Marantz and Epson distributors for Malta. We specialise in integrating C-bus home-automation, Comfort security, CCTV and Multi-room AV all through a single graphical user interface. We are Security and IT Communication Systems Integrator based in Phuket. We build Smart home for Your Smart Life. Unique Buildings undertake all aspects of electrical work and now specialise in the planning, design, supply and installation of automated electronic systems for the modern, intelligent home. With over 15 years of experience of the Cytech brand, Household Automation Ltd is the UK's premier integrator. We design, build and install all aspects of Home Automation including KNX and C-Bus. Contact us now to discuss your requirements! Easylife Automation are the number one supplier of Home Automation Systems to the North of England. 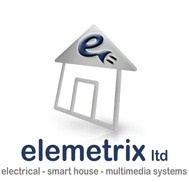 Elemetrix specialises in the design and installation of bespoke smart home electrical systems - lighting, heating, multi room media, networks and home control. Simple, efficient, affordable.